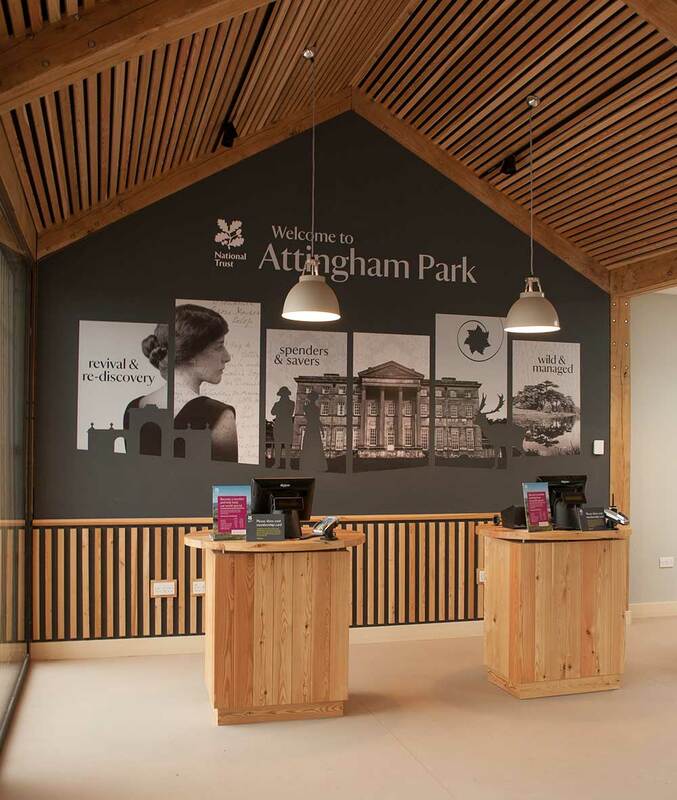 Brownhill Hayward Brown are working with the National Trust to improve the visitors experience at Attingham Park near Shrewsbury. 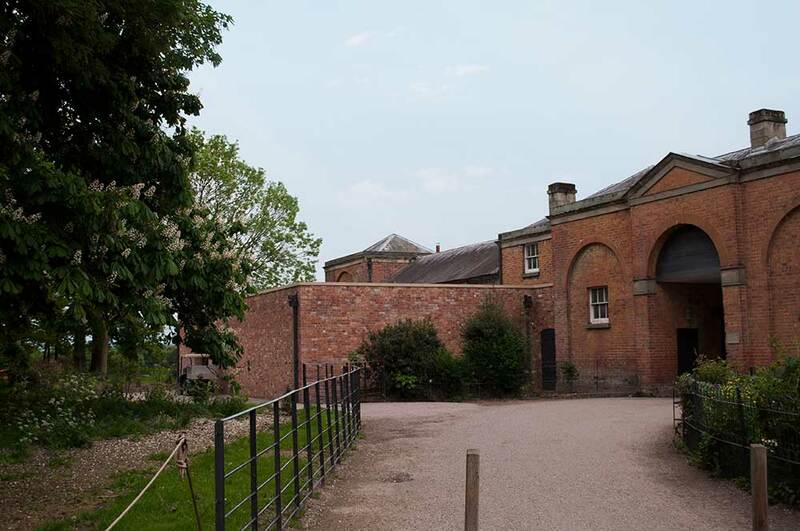 We were initially appointed to undertake a feasibility study to ascertain the practicality of subdividing the Grade II* listed stables range to permit extending use of catering facilities, retails outlet and café / dining areas. 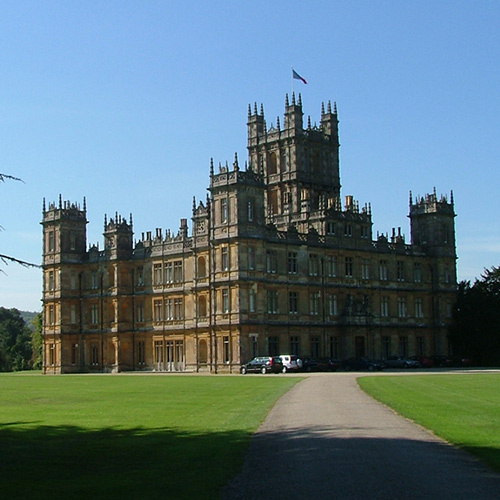 A key part of the study was to look at the effect that M&E installations would have on the listed building fabric. Following discussions with a number of stakeholders it was agreed that the pressure on the listed stable block was too great. 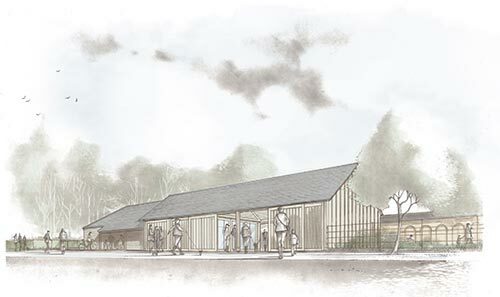 It was proposed to minimise the physical effect on the listed building by sensitively positioning a new visitor’s centre adjacent to the stables and carefully extending a concealed elevation to provide a new catering hub. 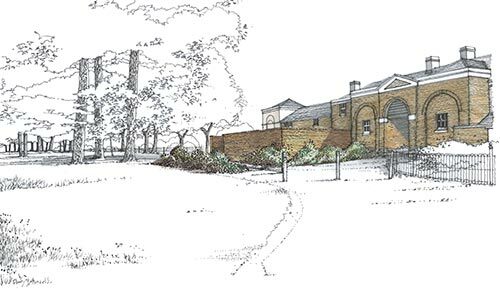 The project includes a new Biomass district heating system to serve the Hall, the stables range and the estate office buildings replacing the existing oil fed system. 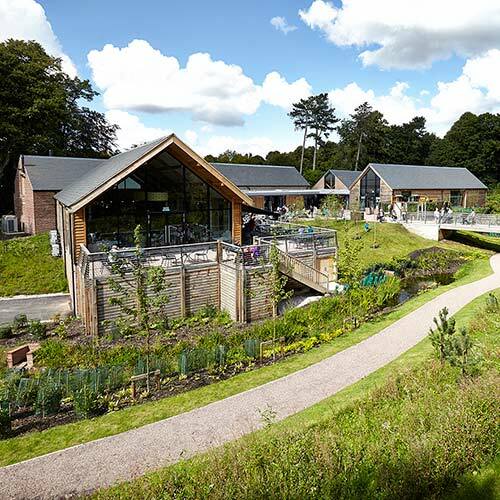 The catering hub is designed to be viewed as a walled garden by visitors to the site as they pass the rear of the building, the kitchen and servery areas are discreetly top-lit behind a brick and stone parapet. 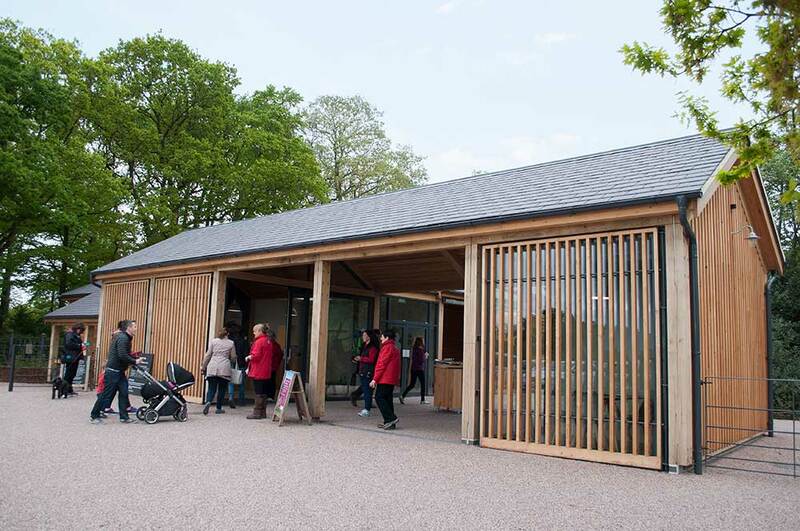 The visitors building and biomass facility are timber clad with estate sourced wood designed to weather naturally into its environment. 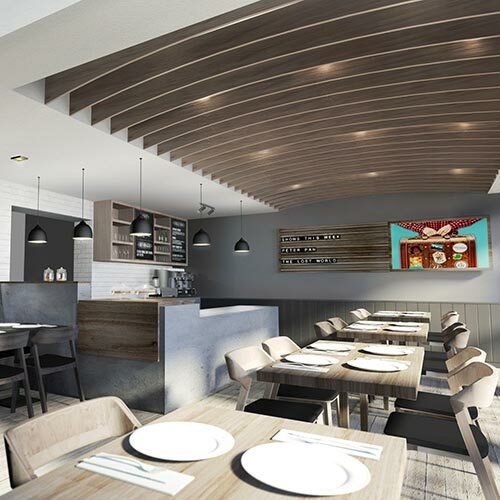 BHB have also undertaken the proposal for the interior design of the new visitors building. 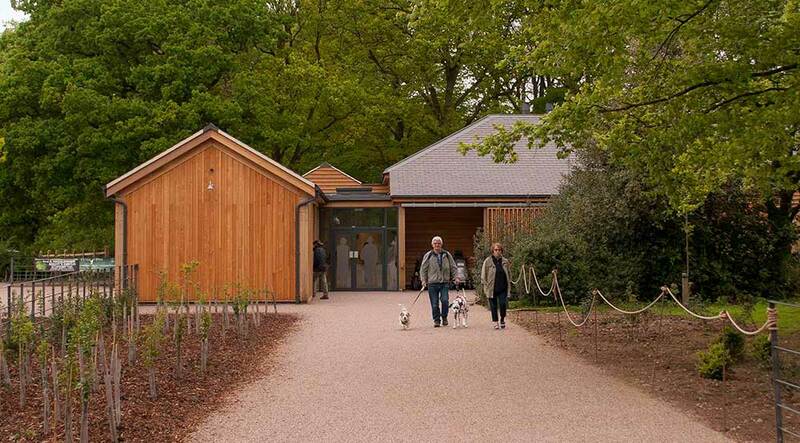 The interior takes reference from both the external facade, biomass facility and wider estate. 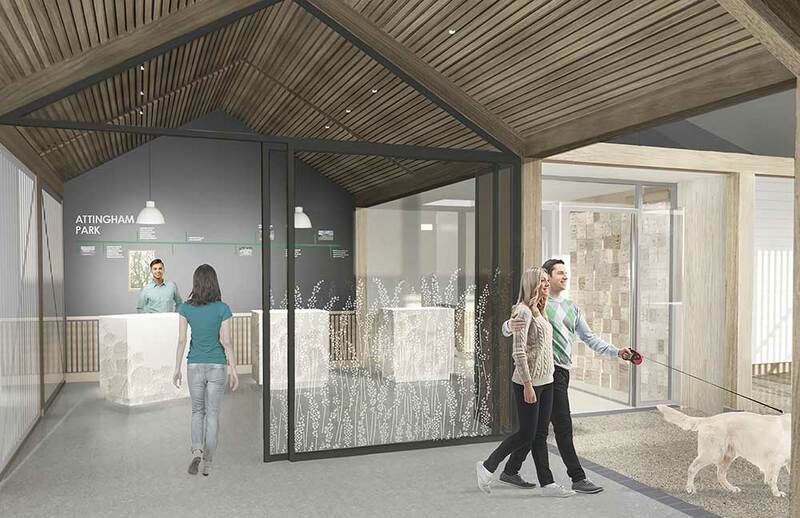 Members of the public are greeted by staff under a covered canopy, framing views of the historic stable range beyond. The covered area is contained on two sides. One offering two enclosed membership rooms. 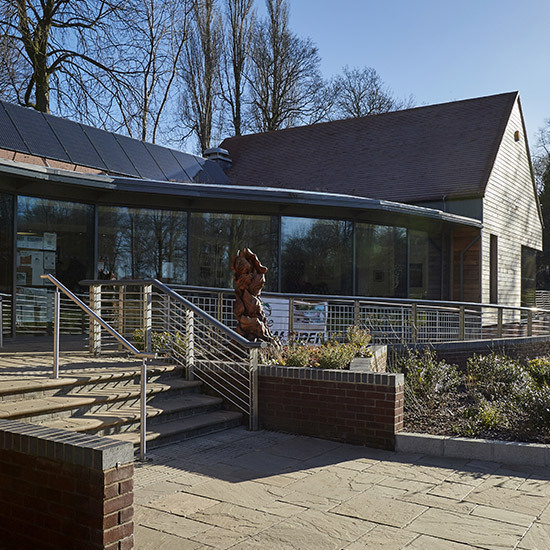 The second provides a new reception area providing both information to visitors and a point of sale for tickets to the house and estate. A range of National Trust colours have been used to create focal points for future graphical displays and information. Features such as a rough end sawn oak block wall provides links to the saw mill which once occupied the stable yard.